This is the first photo that I acquired. It came from a seller on the Etsy site. From the moment I first saw it I knew I had to have it. I come from a long line of folks in the funeral industry and I have a fascination of the whole subject of funerals. When I first held this photo in my hand, I was in love. 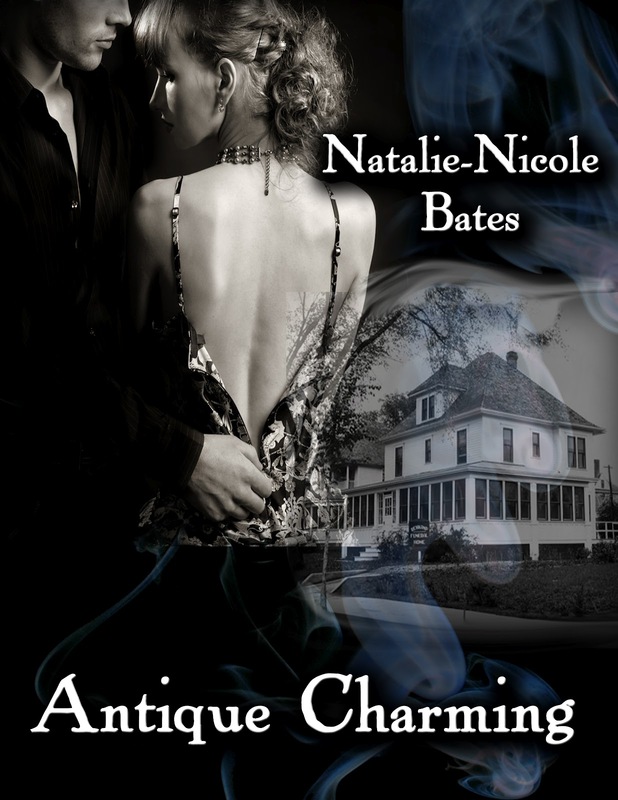 At the time, I was only writing contemporary romance, and had recently sold my first novel called Change of Address. But soon I was struck by the idea for a paranormal short story. 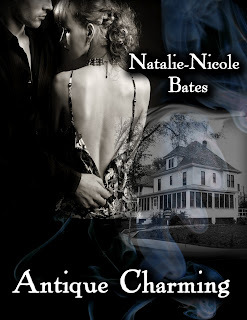 This idea eventually became my short paranormal Antique Charming, which is now published by Books To Go Now. 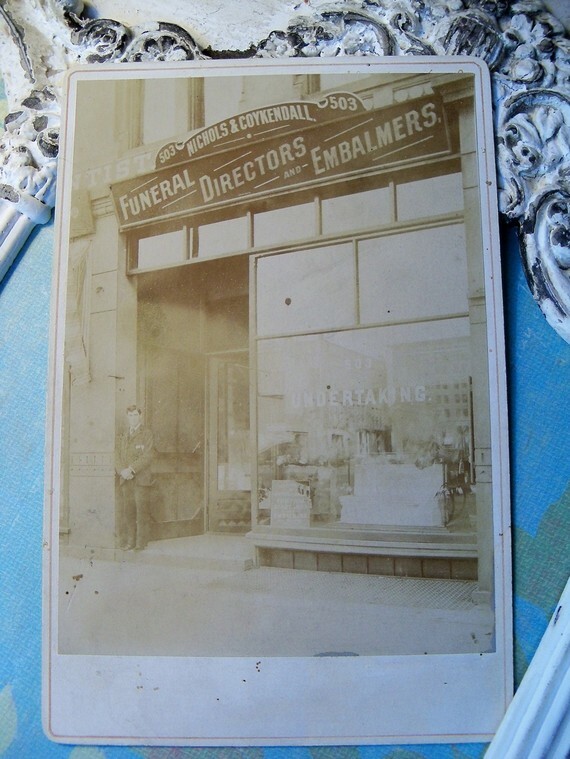 As you can see, this lovely cabinet card features the Nichols and Coykendall Funeral Directors and Embalmers. 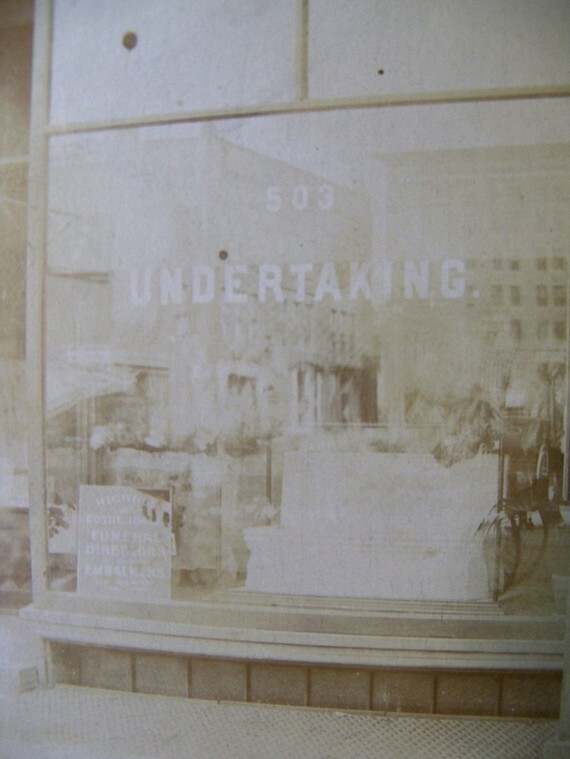 If anyone has any background information on this particular funeral home, please do share it with me. There is a smaller sign in the window that is difficult to make out, but you can see the words 'Lady Assistant'. 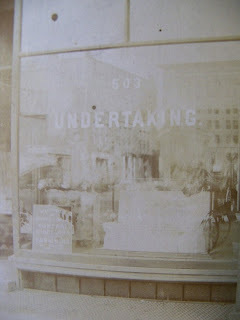 If you look closely, you'll see a wonderful reflection in the glass of funeral carriage tied with elaborate ribbons. 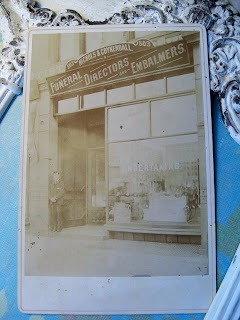 And of course, at the bottom left is our handsome funeral director, ready for business. On the back of the photo in beautiful scripted handwriting reads: Week of Oct-11-1896. Such a beautiful piece of history that I treasure!